The Big Enchilda is not really big. Before walking in I had my doubts about this place. 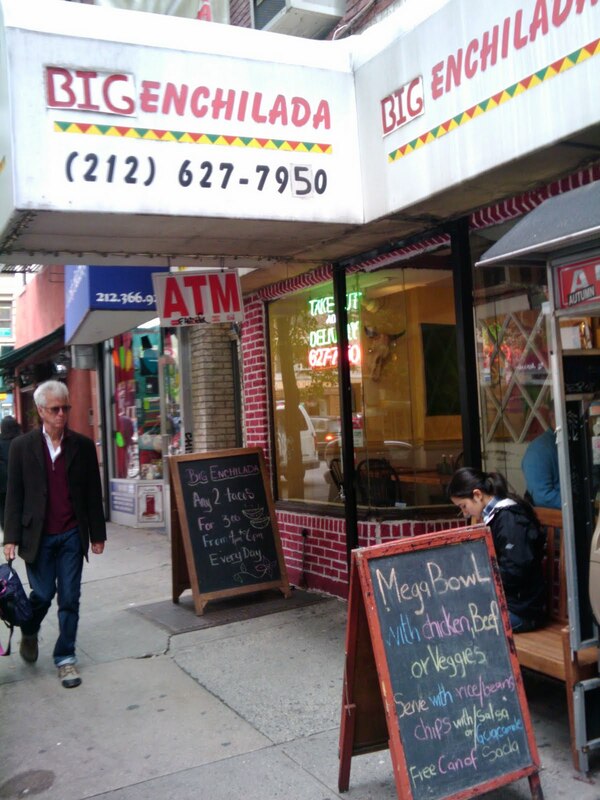 Once inside I saw a Mexican flag, old ranchera music coming out of the kitchen, a faded poster of La Virgen de Guadalupe, and on a small tv set vintage World Cup games were being televised. I thought, okay maybe this place is "authentic" as they have positioned themselves... NOT! It came across as TexMex on a budget, the asking price was unrealistic and overpriced for what it is. The steak taco came with too many fixings, in fact I think it could of easily passed for a vegetarian taco. The chicken quesadilla was uneventful. Sure, my lunch was made by Mexican nationals, but the overall execution was mediocre and it might as well have been made by two recent Cambodian immigrant arrivals who knew nothing about comida mexicana. My overall thoughts on Big Enchilada, I think you know where I stand. We here (just me) at Taco NYC don’t dabble in politics too much on this blog, we’re tacos only. I’m listening to public radio WNYC this morning, and I briefly heard a bit on re-branding states. 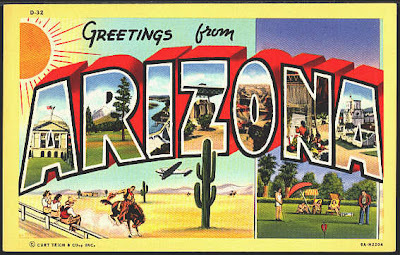 Lets take a moment and think about Arizona. What should Arizona’s new positioning be? Me and Xochitl Goldberg kicked some ideas around and came up with the following. Arizona: We’re really not that messed up! 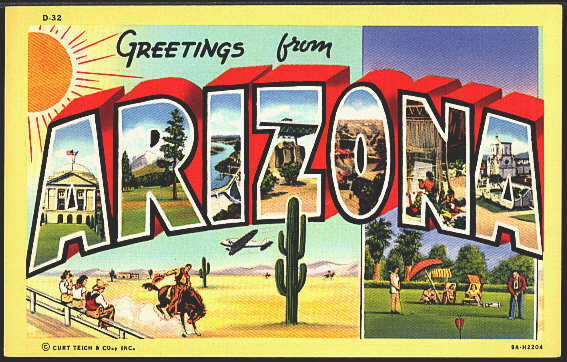 Arizona: Hey, it could be worse, we could be broke like California. Arizona: Sorry, the heat sometimes heat gets to us, gets to us. Arizona: Allowing you to be innovative.